At the time, she was working for Johann Rupert at his Franschhoek winery, L’Ormarins. Thanks to his encouragement, together with help from the farm’s managers and Johan Viljoen then of Vinpro, a search for old vineyards (minimum of 35 years) across the Cape began; Kruger’s determination and enthusiasm for the project is as infectious now as it was then. The quest had its own hurdles; not all farmers were keen to come forward with information and SAWIS, which held the list of registered vineyards and planting dates, was initially reluctant to release what was considered confidential information. When they did give Kruger access in 2014, it was on the understanding that she get the farmers’ permission before making details public. 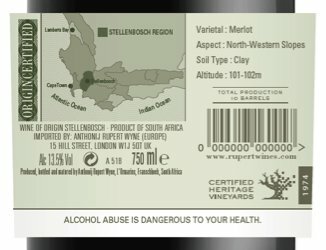 Kruger had already started a wonderful website iamold, where details of each vineyard was published. A website that needed updating every year, as more vineyards came of ‘old’ age; it was also but a piece in a jigsaw puzzle. Money for the foundation of a formal and secure project was required. By now, important international voices, including that of Jancis Robinson, started to taste and talk about the wines; it helped that many were made by already-acknowledged top producers in the Cape. Quality of these old vine wines doesn’t come without challenges. Many of the farmers delivered their fruit to co-ops or to volume wholesalers, the old vine grapes being crushed into the fermentation tank along with others. Now they are being asked to farm for extreme quality: pruning, suckering, leaf plucking, green harvesting all require a change of mindset, as well as appropriate recompense to both the farmer and his workers. It costs around R45000/R50000 per year to farm a hectare and yields can be as low as 1.5/2 tons a hectare. Consider these figures when looking at the price of the wines. Johann Rupert again stepped in to help pull together all the strings by sponsoring the now officially-named Old Vine Project. 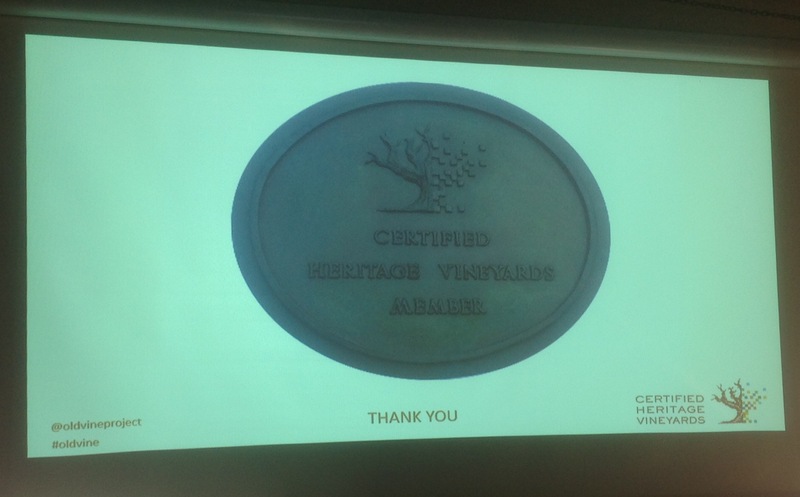 Ex-WOSA Communications Manager, André Morgenthal co-ordinates the OVP and, with SAWIS, drew up the new Certified Heritage Vineyard Seal, which carries the planting date. The first was awarded to Christa van Chevalliere’s Nuwedam Chenin Blanc 2016. Membership of OVP stands at 30 (details on www.oldvineproject.co.za), Chris and Andrea Mullineux leading the way with Mullineux Wines the first to sign up. There are more high-profile names yet to join. While recognition via the seal lends formality to the project, it is yet another piece of information the consumer needs to get to grips with. Establishing consumer perception of old vine wines is already underway, a venture between the University of Cape Town Graduate School of Business, Winetech and University of Stellenbosch. Hopefully, this will also gauge consumers’ willingness to pay more for these wines, based on what it costs to produce them. Given Kruger’s love of old vines and the effort she puts into training the vineyard workers in tending these special vineyards, it is no surprise they too receive official recognition from the OVP. Specialised pruning courses for OVP members’ vineyard workers are being sponsored by pruning shears manufacturer, Felco. A move which I’m particularly happy about, is that Vititec has started massal selection on significant old blocks; this material will be cleaned up and propagated. I think it is Prof Alain Deloire who speaks of the memory of old vines which lends unique character; hopefully the same is transferred to their offspring. Plaque OVP members can display at their cellars. Boekenhoutskloof the first to acquire one. As ever, wine is a journey rather than a destination; this is just a start for the OVP. 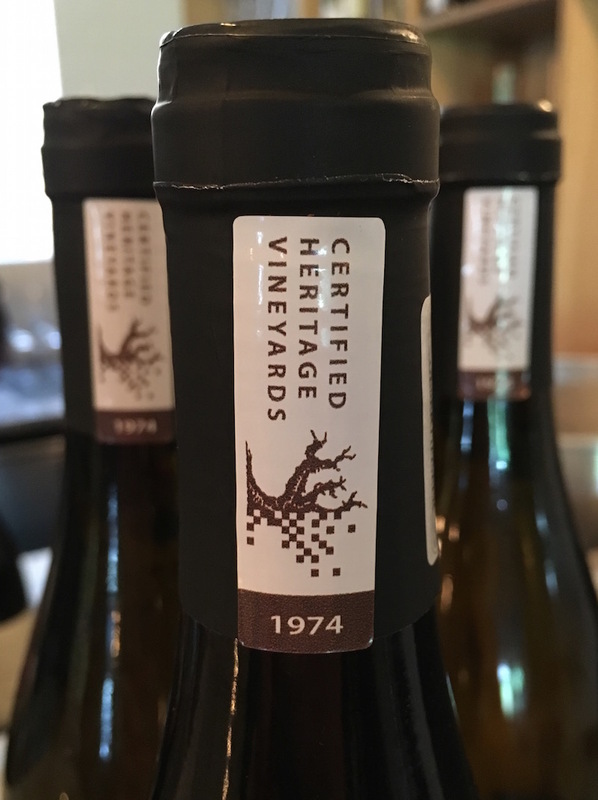 Two aspects particularly appeal to me; first, the concept is basically a simple one for the consumer to understand – a wine from a vineyard a minimum of 35 years old, made by a member of OVP may carry the Certified Heritage Vineyards seal with the planting date. The process is authenticated from start to finish; here, for once, is a welcome example of the wine industry working together. The tasting at the launch was an embarrassment of riches; 17 producers participated, between them there was hardly a wine that didn’t impress. Among an unforgettable few: Reyneke Natural Chenin Blanc 2016, Hogan Chenin Blanc 2016, Metzer Maritime Chenin Blanc 2016, David & Nadia Semillon 2016, Boekenhoutskloof Semillon 2015, Cape of Good Hope Laing Semillon 2015, Mullineux Old Vines White 2017, Naude Cinsaut 2016, Meerendal Pinotage 2015 and Cecilia Wines Pinotage 2016. If there’s one aspect that would cause the OVP to fail, it’s lack of quality; on members’ current showing, that’s highly unlikely.